Pictorial-style, personal bookplate featuring images of books and a single ship. Simple line border. 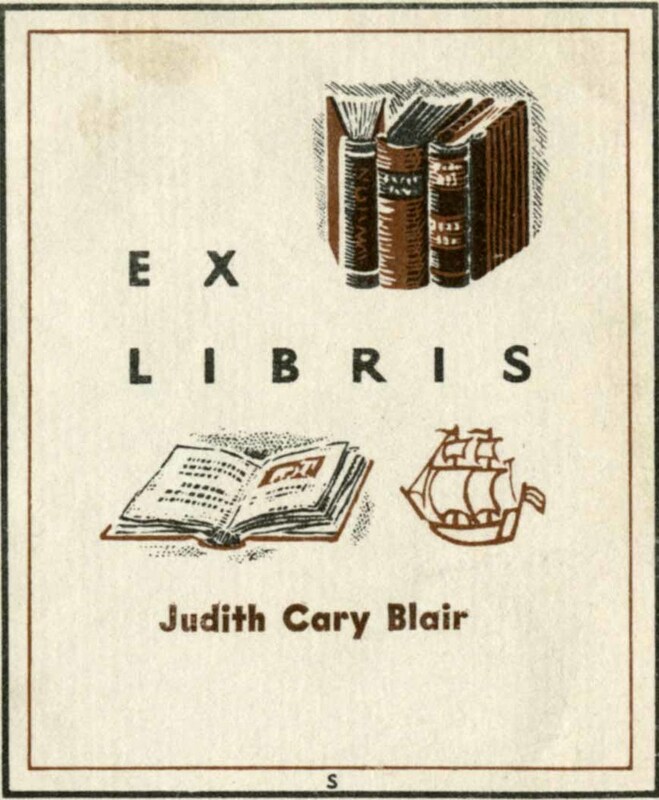 ~ Unknown, “Ex-Libris Judith Cary Blair,” Portsmouth Public Library's Online Archives, accessed April 21, 2019, http://portsmouthexhibits.org/items/show/1855.